Sometimes you need to stop dissecting the roots of Chainmail for long enough to appreciate the humor that the authors of Dungeons & Dragons infused into the game. We see that playfulness on display in the Twin Cities work of VanGrasstek, and surely the Minneapolis Dungeon group inherited their zany antics directly from Dave Arneson. 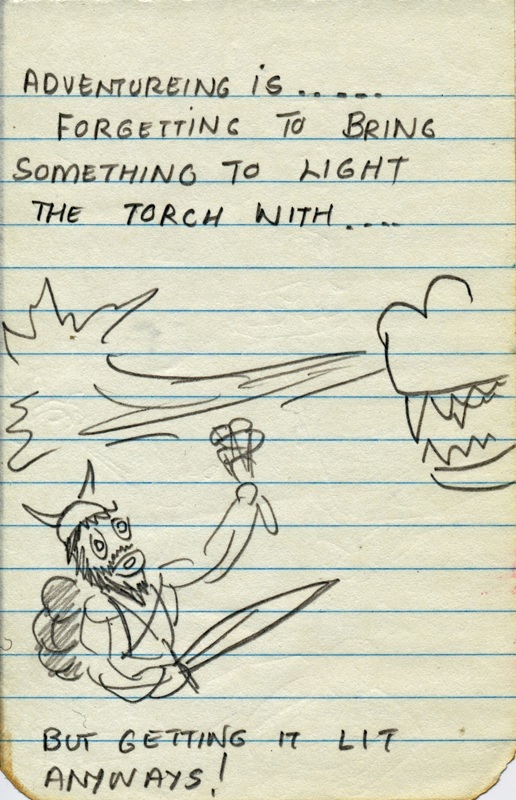 In the spirit of "Love is..." cartoons, Arneson doodled a series of "Adventuring Is..." situations that would not have been out of place alongside William McLean's humorous cartoons in the AD&D hardcovers. Unlike the idyllic couple depicted in "Love is...", the protagonists of "Adventuring Is..." are usually about to die.